We are in love with Mallorca. As are thousands of other boaters. This is our favourite cruising destination in the Mediterranean which we passionately promote to our customers. This affection has its grounds – the island is an ideal mix of advantages for those travelling by boat. 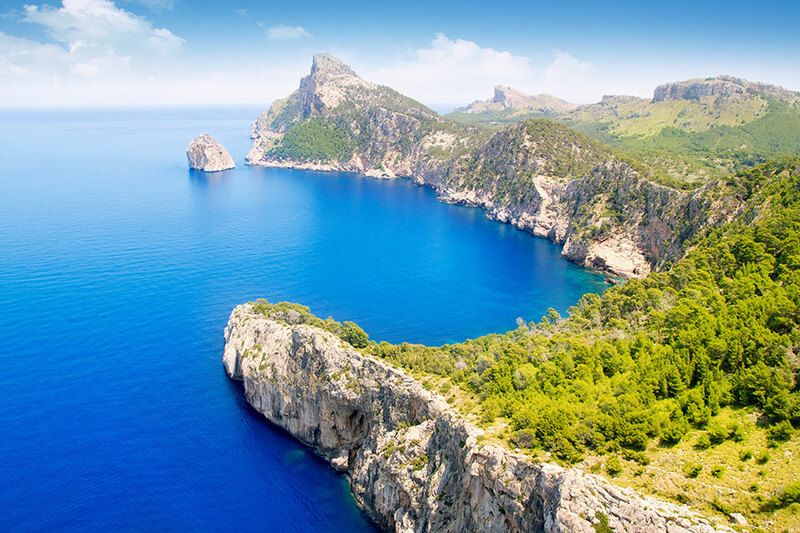 Whether you are at the helm of your own boat or you charter it with a skipper, have a look at the Cruising Guide to Mallorca with our personal selection of the places to visit on this wonderful island. In the last 15 years, the whole Mediterranean part of Spain including the Balearics has witnessed an enormous development in yachting facilities. As a result, now the island of Mallorca boasts probably the largest number of marinas in the Mediterranean, all just a few hours’ sail from each other. Walking along the city seafront promenade Paseo Maritimo all you can see is kilometres of snow-white vessels from smaller boats up to super yachts. 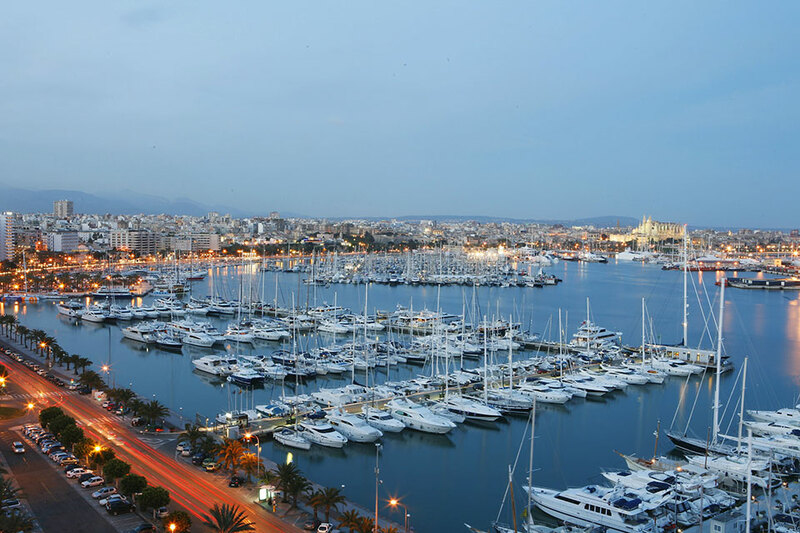 This is the area of Port of Palma de Mallorca and home to at least 6 marinas. 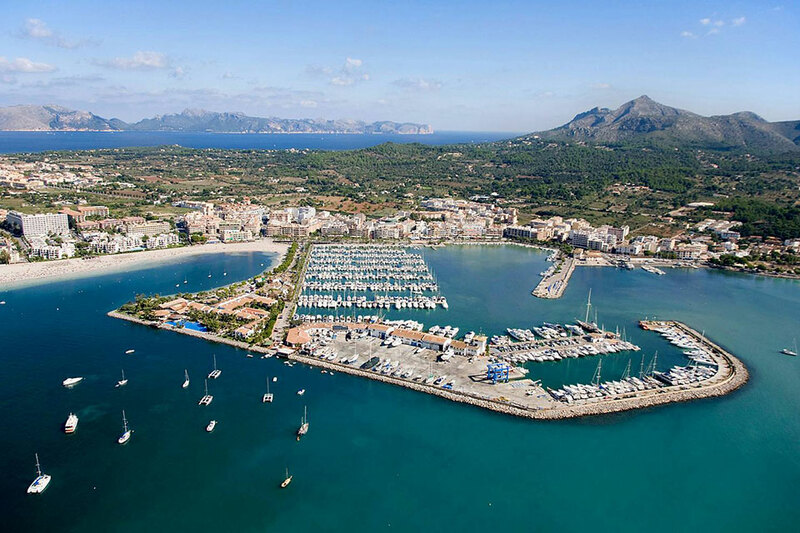 Marina Palma Cuarentena and Marina Port de Mallorca are also based in the port though a bit further away. Both marinas are modern, safe and well equipped, with the first one being smaller but cosy, and with very helpful staff; and the second one being larger and therefore easier to find a berth in the popular summer season. Marina Palma Cuarentena +34 971 454 395; VHF channel 09 or 16; info@marinapalma.com. Marina Port de Mallorca +34 971 289 693; VHF channel 09 or 16; recepcion@portdemallorca.com. Often rocky and therefore difficult to reach by land, the cosy beaches and bays of Mallorca are a feast for the eye with their crystal clear cobalt water and dramatic backdrops. Cruising along the northern end of Mallorca make sure you stop by Cala Castell, one of the most private bays for boaters on this coast. Anchoring is good here though care must be taken when the wind blows from the north. More stunning coves are waiting for you around Cap de Formentor. One of them is Cala Murta, a very sheltered little bay with a secluded beach surrounded by breathtaking cliffs. Cap des Pinar hides one of the most virgin coves in Mallorca. Formerly the beach of this bay was a restricted area controlled by the military. The cape is a part of the nature reserve of Victoria peninsula. Approaching the cape from the north, stop at Calo de sa Figuera, a small rocky bay with a white sandy bottom under the crystal clear water. Though be careful with the northern or northeastern wind when dropping the anchor there. 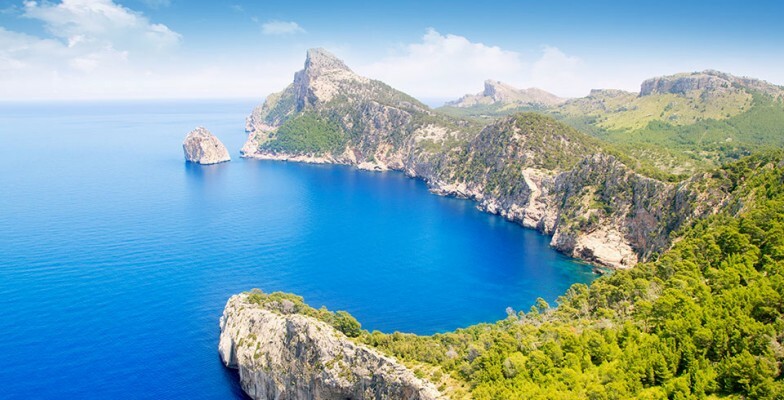 Keep on cruising down east and stop at Cala Mitjana and Cala Varques. Both bays are simply fabulous as well as well protected from the winds. Have lunch and a pleasant swim in their turquoise waters enjoying the sights of the low cliffs and pine trees around. Travelling down south get ready for the definite highlight of your cruise. 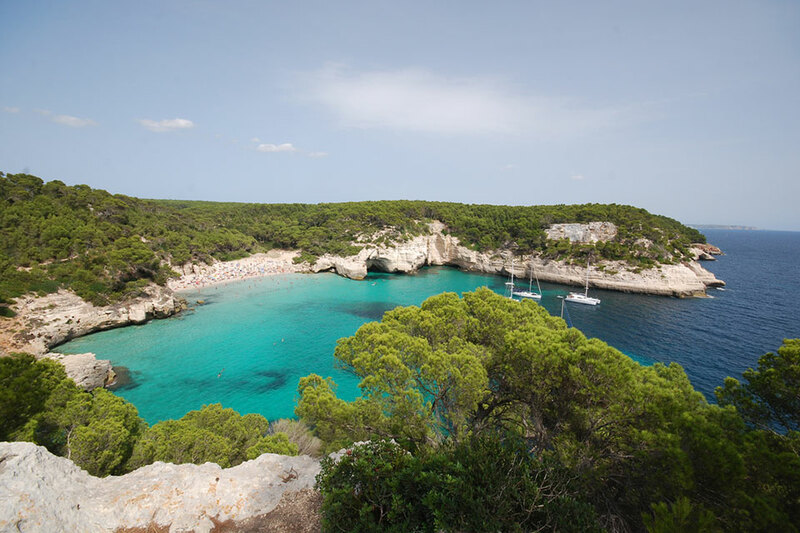 It will be Cala Llombards, a little bay squeezed between two rock walls topped with pine trees. Don’t look any further to drop anchor, especially with the southern or southeastern wind. Dive into the clear waters, step on the sandy beach and have a refreshing drink at the local beach hut bar. 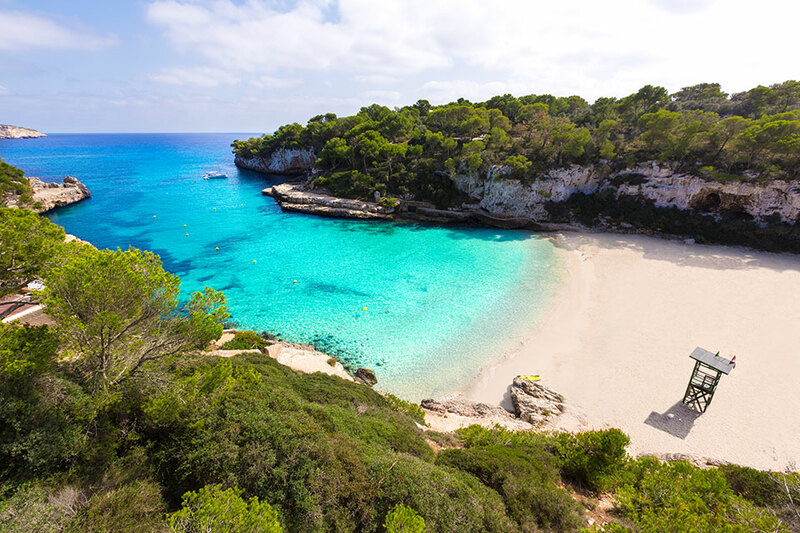 Take a short cruise down to Calo des Moro, often called one of last paradise spots of Mallorca. This sheltered but shallow bay with the sandy ground is ideal for anchoring of small boats. Its amazing neighbour, the bay of Cala s’Almunia, is even smaller and may need exploring by tender or canoe. But it is definitely worth it! 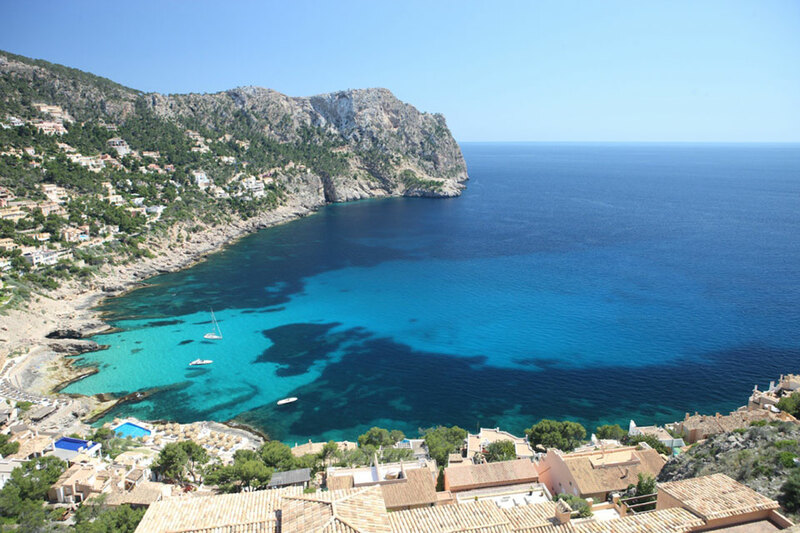 Don’t miss Cala des Marmols, one of the most secluded bays of the island. Its white sand, marble rocks, and clear water with sandy bottom are more than enough to make you stay here for several hours or even a day. 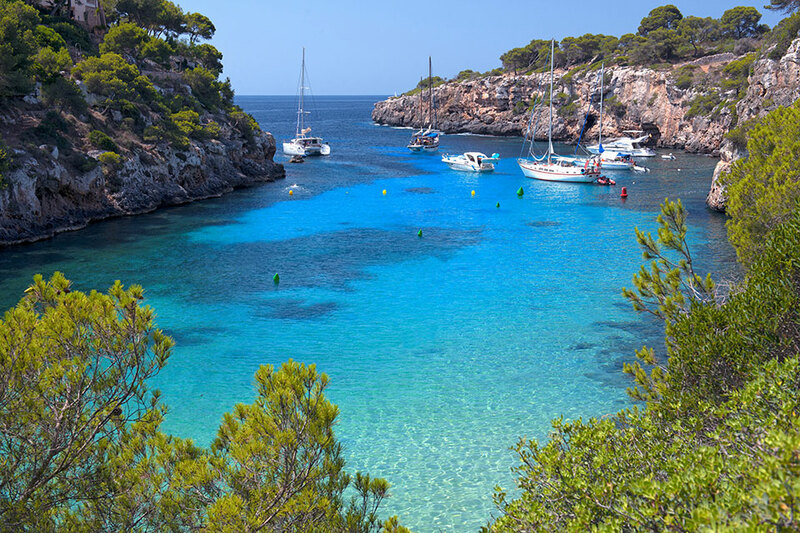 And make sure to stop at Cala Pi, one of the most beautiful bays to anchor. The long and narrow bay ends with a marvellous little beach. But due to the tightness consider exploring it by tender. Carry on your journey up west and get impressed by Cala Llamp, a spacious crescent bay with calm sky blue waters and a picturesque backdrop of Serra de Tramuntana mountains. Anchoring is better when the wind comes from the south, south-east or west. A beach club ashore will be happy to entertain you and serve a yummy lunch or dinner. Cala Tuent is another gorgeous bay to stop in. The view of Puig Major, Mallorca’s highest mountain (1,445m) is a great bonus to the swimming and sightseeing here. And a lovely restaurant is here to offer you food and drinks. Enjoy the splendid views of the impressive Sierra de Tramuntana mountains and Sa Foradada rock with a round hole in the bay of Cala na Foradada. During the southern wind, anchoring here is recommended on the other side of the rocks. 3. Mallorca is hospitable with its restaurants. And this is exactly what you need when stepping ashore. 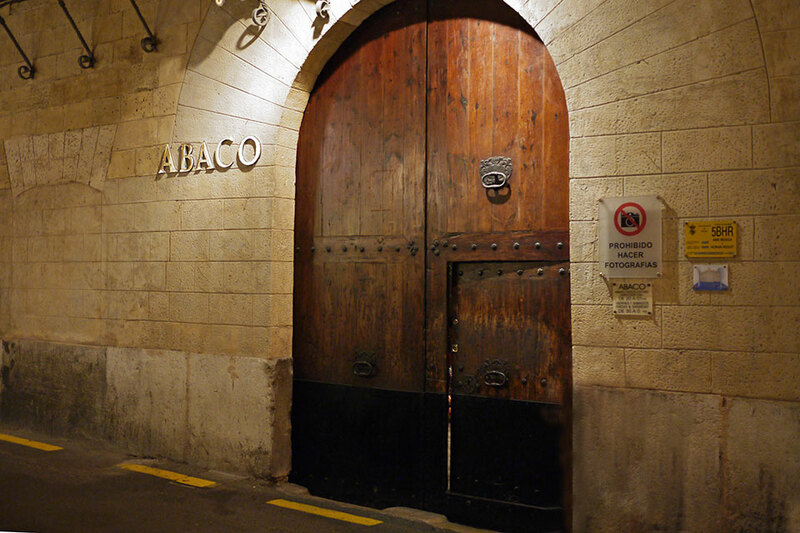 The variety of the local restaurants, tapas and cocktail bars leaves you speechless. 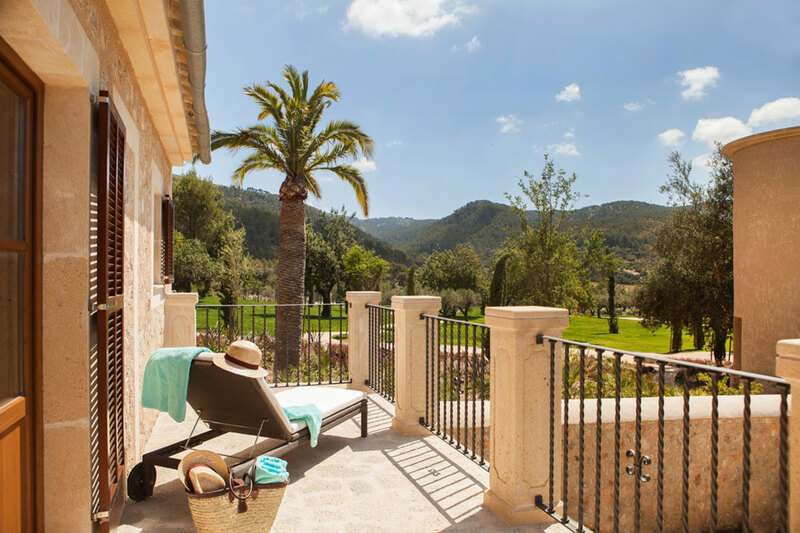 A fine Michelin-starred dining or a generous meal in the tiny fishing village, a glass of cava with a breathtaking sea view or a cup of coffee on a lively street of the old town – in Mallorca you find it all. One of the best parts of any cruise is an opportunity to explore the seafront restaurants. In this respect, the coast Mallorca is truly abundant. One of our favourites is a simple restaurant just above the bay Cala na Foradada, on the west coast of Mallorca. Famous for serving the best paella of the island it offers probably the best view of the bay and Sa Foradada rock with a big hole. The access here is possible only for boaters and hikers.